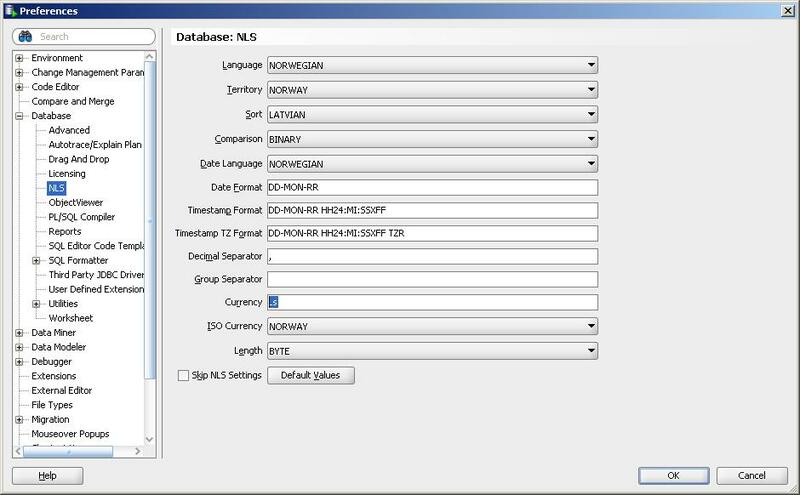 Goal: how to import EXCEL,CSV data to Oracle or Mysql DB. install SQL DEVELOPER on Windows or Linux. In this example SQL DEV 3.1.07 (optional). Copyright (c) 1997, 2011, Oracle and/or its affiliates. All rights reserved. Check what NLS is on DB(optional). 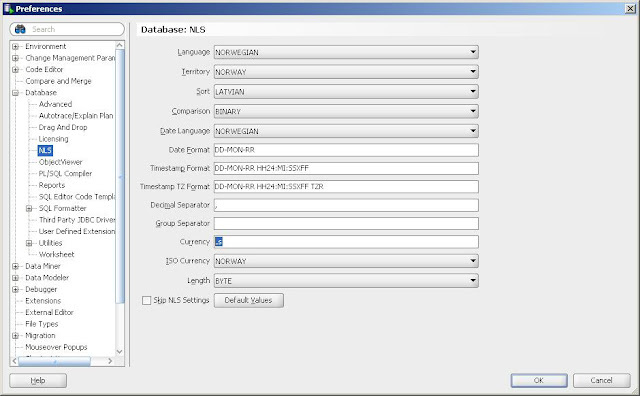 Check NLS settings in SQL DEV tools->preferences-NLS (optional). I just tried this with a mysql db, but I only have the option open, export and copy to oracle in the right click menu. What could be missing, some kind of filter/extension?